Complete list of materials, publications and activities of the C-SERVEES PROJECT. [04/04/2019] - Keys for the success of innovation projects in circular economy - Working Document of CONAMA WG 17 "Innovation in projects with a circular economy vision"
C-SERVEES is presented as an example of practical experience in the development of an innovation project in circular economy in the document “Keys for the success of innovation projects in circular economy”. 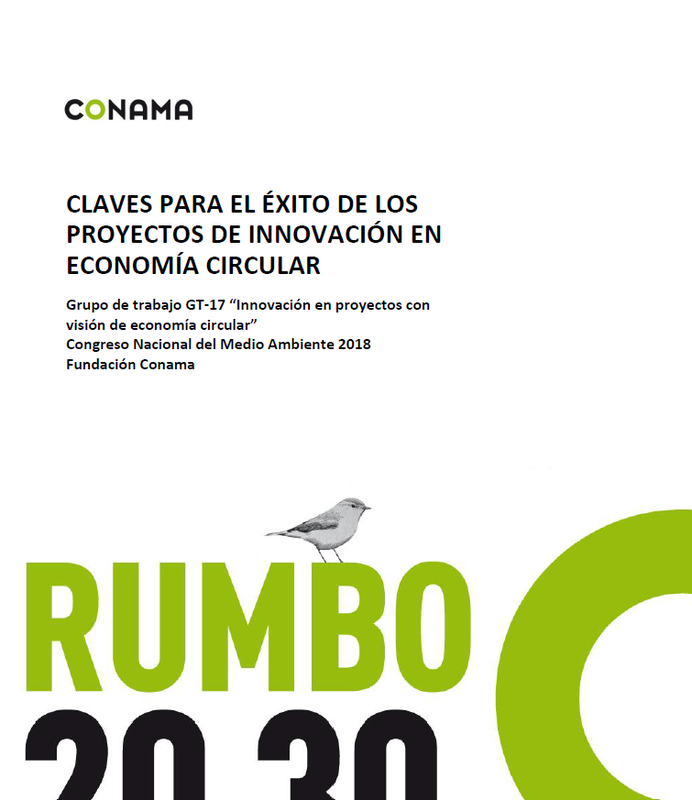 This document was developed by the CONAMA Working Group 17 "Innovation in projects with a circular economy vision", which was launched in 2018 to facilitate the exchange of experiences in the field of circular economy and identify key areas and enablers to promote innovation projects/initiatives in this field. 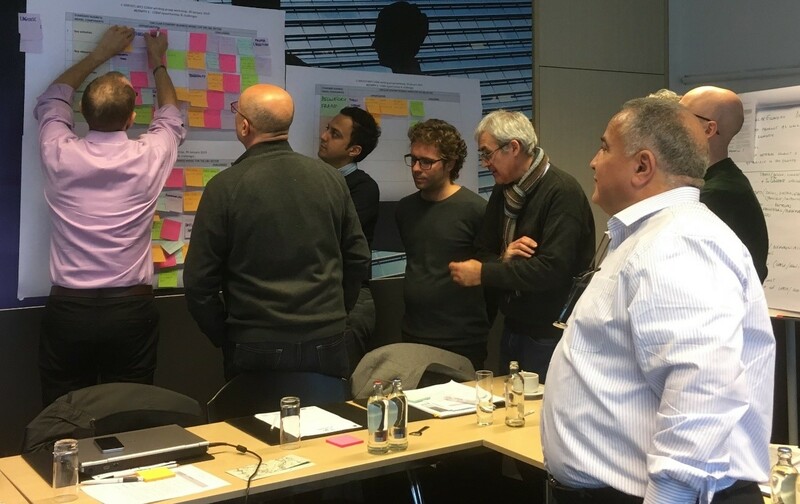 C-SERVEES was one of the 36 projects chosen by this expert working group to be used as a reference when explaining the key elements for the success of innovation projects in circular economy. After several online meetings, the CEBMs Working Group of the C-SERVEES project have held today a technical workshop in Brussels to discuss in more detail the main aspects addressed in the online meetings. Work sessions organized and moderated by the team of Loughborough University have served to analyze and discuss in depth the different elements of CEBMs and their related opportunities and challenges. The contributions of partners and the consensus reached through debate will be used in the elaboration of a circular business reference model for the E&E sector. Enrique Moliner (AIMPLAS) attended CONAMA 2018, which was held in Madrid (Spain) on 26-29 October 2018, and presented the C-SERVEES project. CONAMA has become the reference event in Spain for environmental networking and knowledge sharing, with more than 7,000 participants in its latest edition and a network of more than 450 collaborating institutions, including companies, administrations, universities, technology centres and third sector entities. Enrique participated as a speaker during the Session "Innovation in projects with a circular economy vision", presenting the C-SERVEES project and discussing in a scientific roundtable about new business models for the circular economy. A poster of C-SERVEES was also displayed at the conference. 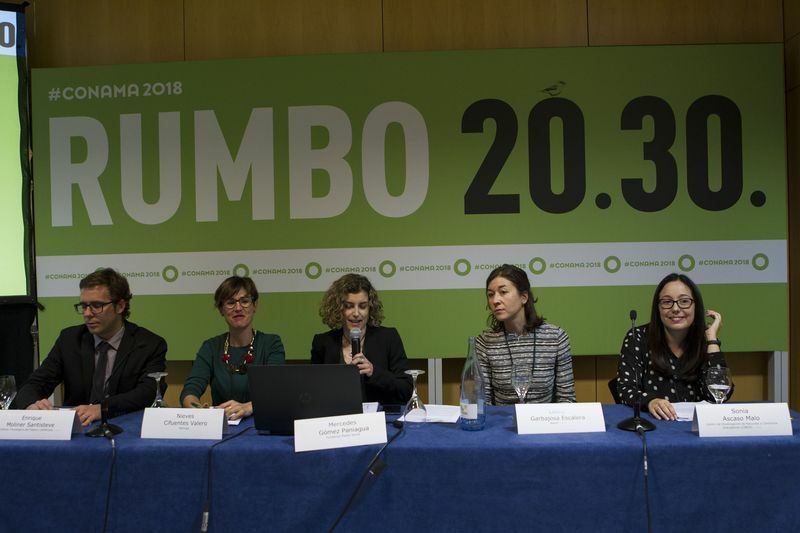 AIMPLAS and Cicloplast organised the IV Conference on Plastic and Circular Economy, which was held in Madrid (Spain) on 23 November 2018. This conference is a reference forum in Spain for discussion about the role of every actor in the plastics value chain to reach the goals of the circular economy strategy for plastics. 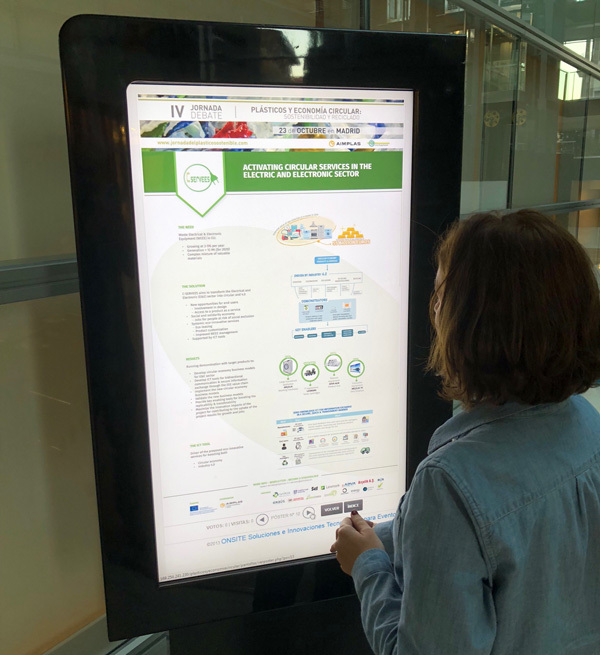 The C-SERVEES project was presented in a poster exhibition area, while AIMPLAS colleagues take the opportunity to discuss project objectives and expected outcomes with plastics industry representatives and policy makers. The EU project “C-SERVEES – Activating Circular Services in the Electric and Electronic Sector” will organise a workshop to find answers to questions like “Can the e-sector adapt to circular economy thinking?”, “Why don’t we see more examples of circular economy thinking in the e-sector?” and “Does circular economy work for all product categories in the e-sector?” during Going Green – CARE INNOVATION 2018. Your active participation in this discussion will be highly appreciated. Going Green – CARE INNOVATION 2018 conference and exhibition on Electronics and the Environment will take place from on 26-29 November 2018 in Schoenbrunn Palace Conference Centre Vienna (Austria), which is situated in the Apothecaries’ Wing of the famous building. This Symposium is the only platform for presenting the up-to-date progress on sustainable development and the development of eco-efficient products. The program will feature the latest in circular economy, environmental design, clean manufacturing, resource efficiency, climate change, new eco-efficient technologies, collection, reverse logistics, refurbishment, carbon trading, re-use, recycling and policy making from leading experts in industry, academia, consulting, recyclers and public area around the globe. Leading companies and institutions in green electr(on)ics will present their innovative products, processes and services at the exhibition. All companies in the electr(on)ics, telecom, automotive, solar and PV, chemical, raw material processing and recycling industry, power suppliers, electricity generators and distributors, contract manufacturers, material and component suppliers, service and logistic companies, collective systems, academia, consulting and public authorities are invited to attend and contribute.